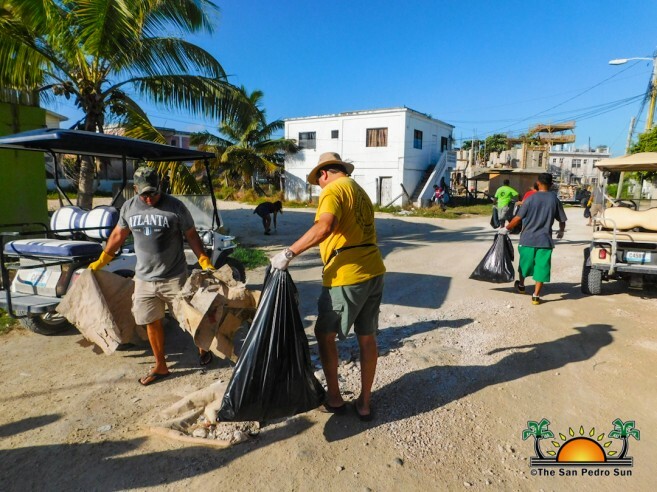 Hoping to continue raising awareness about keeping the island environment clean, the San Pedro Town Council (SPTC) organized a community clean-up on Saturday, May 5th. 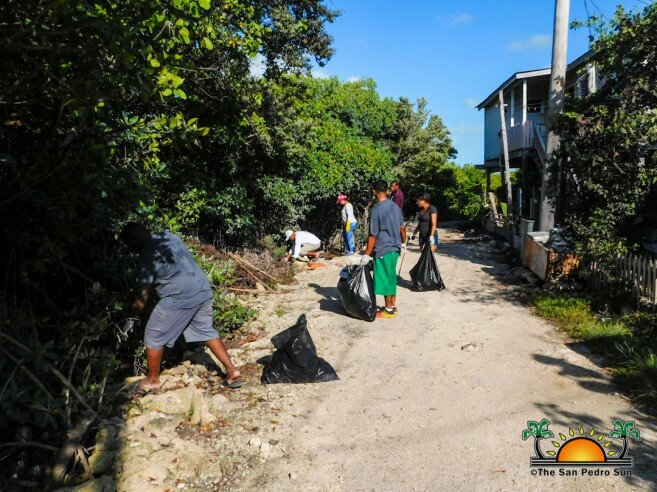 The clean-up saw the participation of many residents. 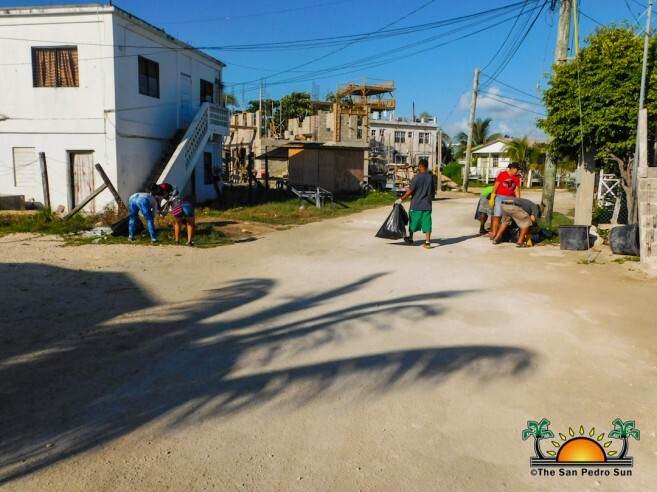 At 6AM, participants gathered at the Boca Del Rio Area to begin the clean-up. 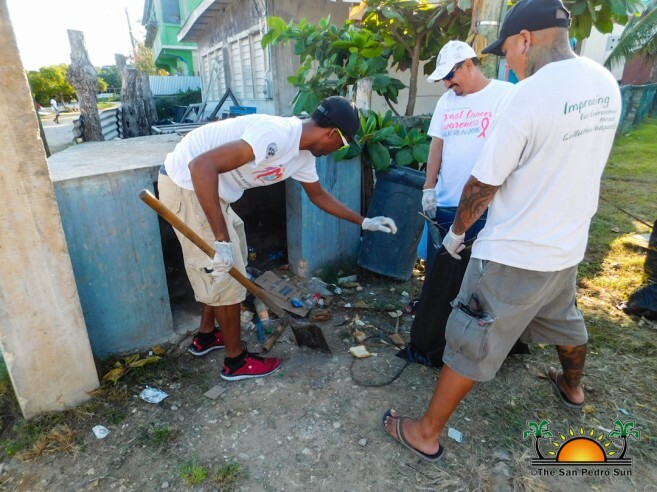 Heading south of the island, participants tackled several areas of the lagoon side, where they encountered large amounts of garbage such as plastic, old machinery, Styrofoam products, old televisions, metal, scrap wood and other items. According to Mayor Daniel Guerrero, this clean–up has made him realize how big the problem of improper disposal of garbage is on the island. 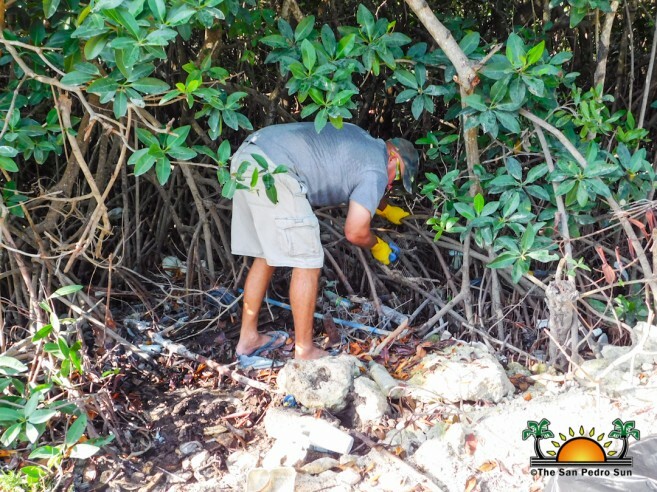 “I will continue to closely work with everyone on the island, from schools to businesses, to educate and raise awareness of the importance of properly disposing of garbage to keep the island clean,” he said. Mayor Guerrero plans to visit several schools to talk to the island’s children. He also intends to monitor the sanitation department closely. “I know that our sanitation workers sometimes do things the improper way. That’s why I am going to be with them every Saturday to monitor and make sure that the work is being done properly,” said Mayor Guerrero. He further stated that the SPTC is planning to have these community clean-ups regularly. Just days after the clean-up, a video began circulating on social media, alleging that the SPTC had dumped the garbage in the San Mateo Area. When asked to clarify those allegations, Mayor Guerrero denied the accusations. “The garbage from the clean-up was sent to the dump site. Nothing was sent to the San Mateo Area,” he said. 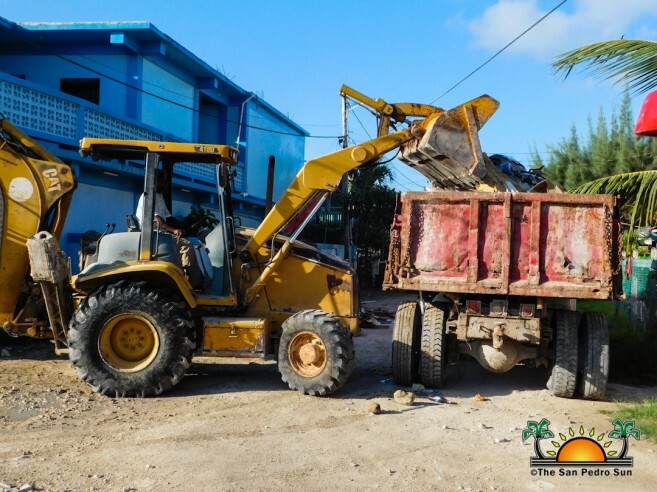 “Sometimes, we recommend that people dump the wooden stuff there, as it helps to fill their land.” Mayor Guerrero further stated that SPTC will be opening all the streets in the San Mateo Area in a couple months. The San Pedro Sun also managed to speak to a representative from the Health Department about the negative effects of the accumulation of garbage in the San Mateo Area. “All that garbage that is accumulated in that area can lead to diseases such as Zika and Dengue. However, there is not much we can do as the SPTC has been giving permission for years to residents for them to dump their garbage in the area with the idea to fill their land,” said the representative of the Health Department. The representative further stated that residents should immediately spread sand over the landfill to avoid health risks. Recommended fill includes wood and leftover construction materials. SPTC thanks everyone who came out and was a part of the community clean-up. Kudos to Castillo’s Hardware for donating the plastic bags for the clean-up.